Michelle Mosby is a first-time councilwoman for Richmond, Virginia who works alongside colleague Cynthia Newbille. 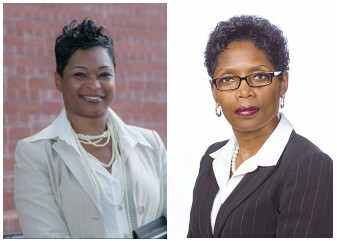 Both councilwomen want to stop the rampant violence in our public schools and they’ve figured out the perfect way to do it: Through prayer. 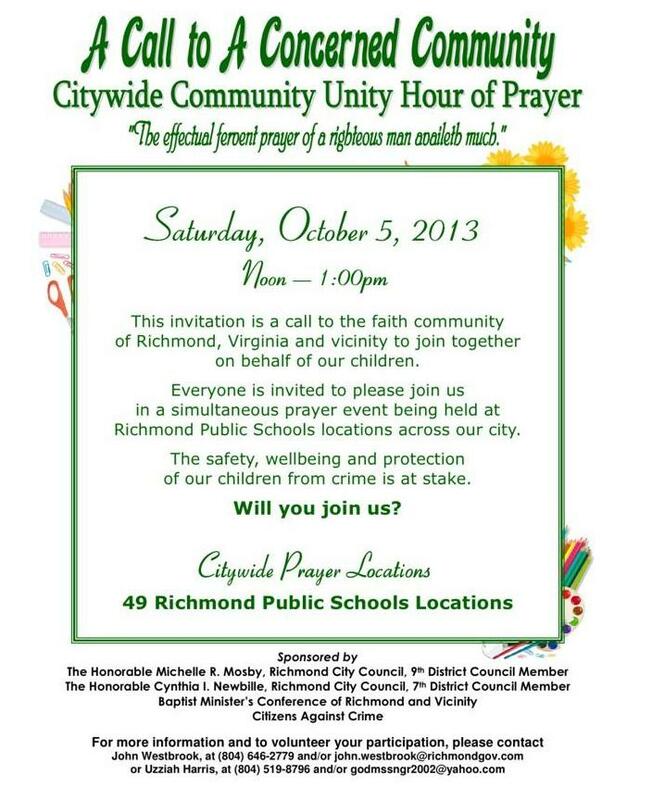 Mosby says it was a divine inspiration that gave her the idea to organize a community hour of prayer this Saturday at all 49 Richmond public school buildings. Flyers distributed for the event list Newbille and Mosby as council members and sponsors of the community prayer. Mosby’s staff person employed by the city is listed as the point of contact, and even though the event is not put on by the city, the few hundred fliers were printed in city council offices by city staffers. “I guess you’re dealing with an out of the box thinker,” said Mosby when asked about the decision to print the flyers at city hall. That’s one way to deflect Constitutional concerns: Just praise yourself for having a mind so brilliant, it can’t understand how the law works. The flyer in question leaves no doubt about the Christian nature of the event. It quotes James 5:16, shows that Mosby and Newbille are sponsors of the event in their capacities as government representatives, and — perhaps most egregiously — says that “the safety, wellbeing and protection of our children from crime is at stake,” as if Christian prayers are the only way to protect the kids. “The government is not in a position legally to sponsor prayer,” said Claire Gastanaga, of the Richmond ACLU. Mosby says she has clearance from school officials. The schools aren’t the issue here. If Mosby and Newbille want to do this on their own time, without using their elected titles to promote the event, this wouldn’t be a problem, but they’re crossing the line when they put their names on the flyer and use government employees and office equipment to let people know about how Jesus is going to save the schools. If this is the best Richmond has to offer, those students are screwed. They deserve better leadership. Good intentions don’t matter; practical solutions do, and this isn’t one of them. I’m hoping the ACLU monitors this situation closely. Mosby and Newbille have little regard for the law because they’re putting their faith above it. If they weren’t Christians, this would have been stopped a long time ago. They shouldn’t be able to get away with it now. October 3, 2013 Should Hobby Lobby Be Boycotted For Not Selling Hanukkah Supplies?